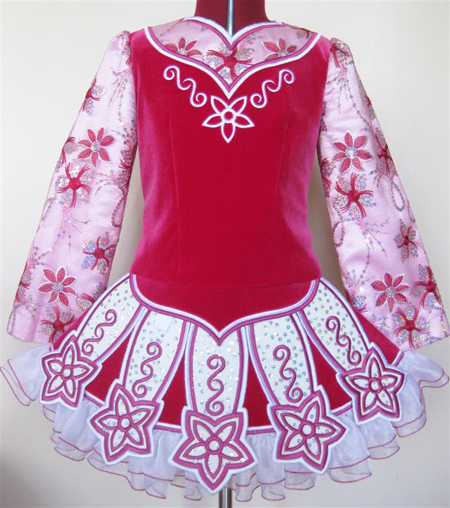 Cerise pink velvet bodice and return pleats. 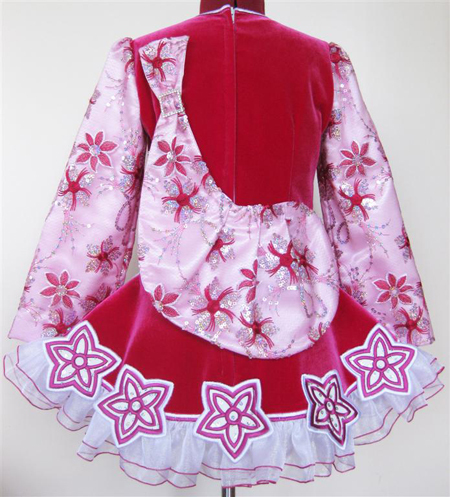 Baby pink and cerise floral sleeves, bodice yoke, and shawl, with silver sequin highlights. 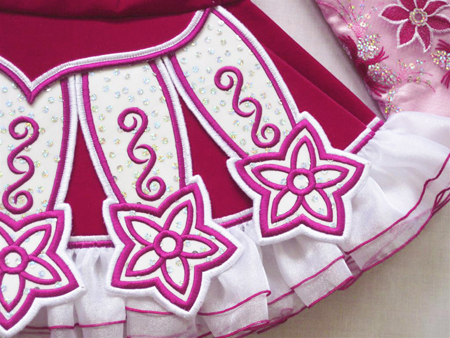 Cerise embroidery on white panels with silver sequins. Pink, yellow, red and white striped skirt lining.